Hotel Nampuro is located in Shimabara Onsen in Nagasaki Prefecture and has been around for 110 years. The hotel recently held the grand opening two infinity pools. 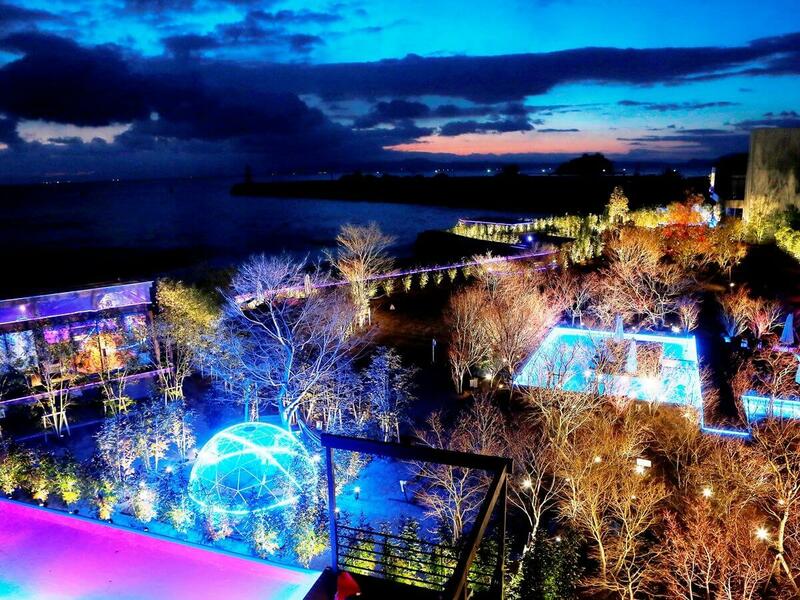 One gives an unbroken view of the Ariake Sea and the other a lush garden. 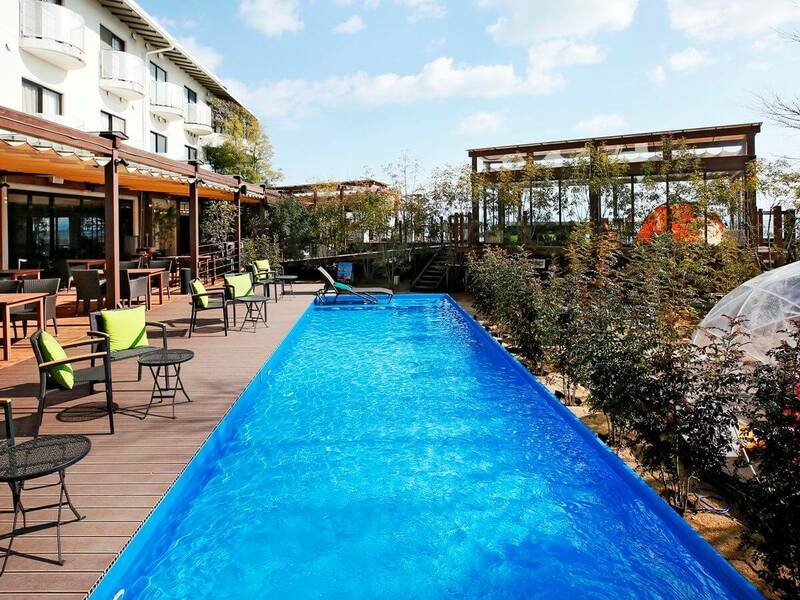 The concept behind the pools is to get people closer to Shimabara’s natural environment. Guests can enjoy feeling the sea breeze from ideal locations close amongst Shimabara’s abundance of lush greenery and the Ariake Sea while offering an exquisite resort experience you can’t get in the city. 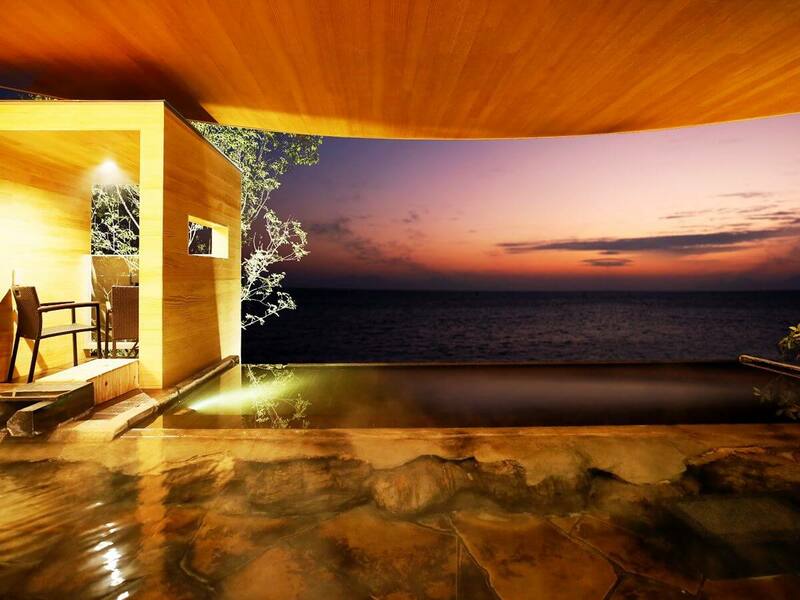 The unique design of the open-air infinity pool makes it seem as if it flows into the sea itself. There’s also an observation deck next to the pool too where people can gaze across the gorgeous waters. The location also makes for a great power and energy spot as one can see the morning sun rise from Kumamoto across the shore. Guests can enjoy the sight in the morning, daytime and nighttime. 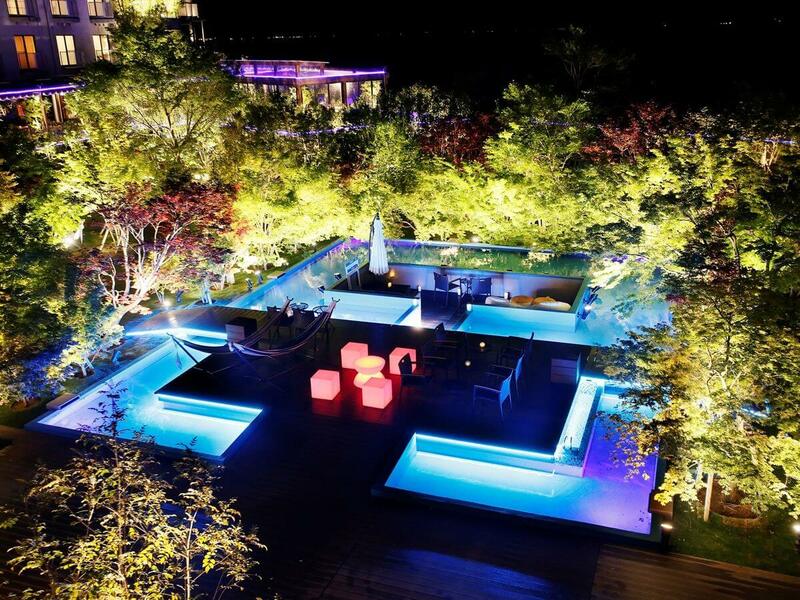 The other infinity pool is built by the garden restaurant deck terrace and blends in with the surrounding nature. 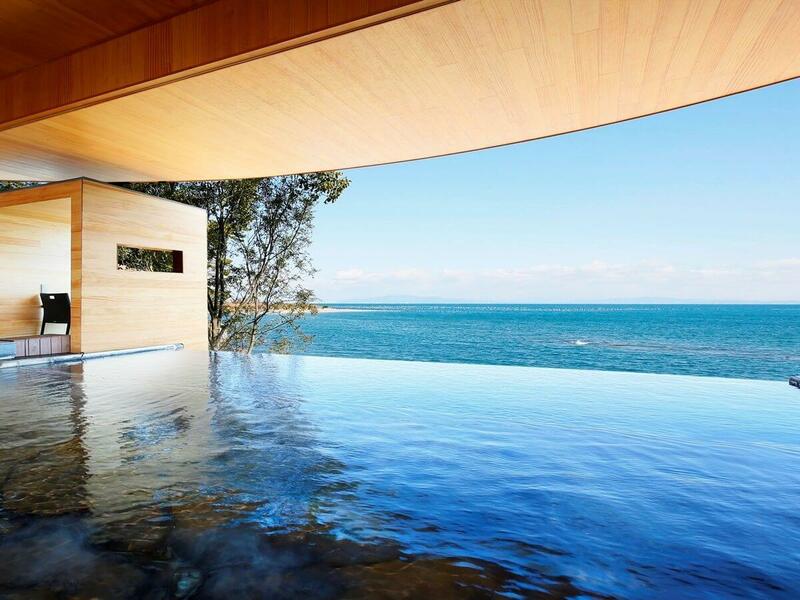 Beyond the horizon lies Shimabara’s waters, sky and nature which becomes one with the edge of the pool. The sky and trees also reflect on the surface of the water, making it feel like you’re floating on top of a cloud in the sky. The pool is around 50cm deep so children can enjoy themselves too. There are also jets fitted on the sides of the pool. 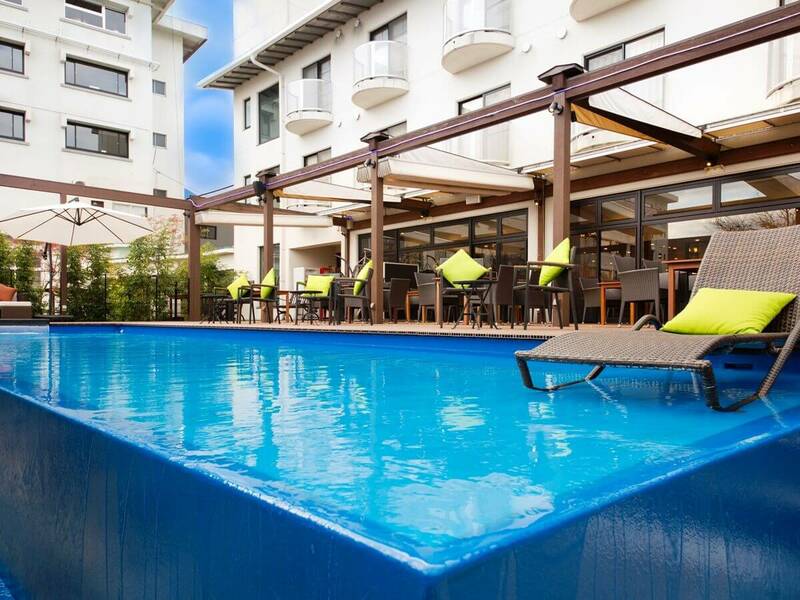 The poolside wooden deck is fitted with tables and sofas to enhance that resort feel. They also serve breakfast and there’s a BBQ too. Guests can look forward to the 300+ trees in the garden being lit up in a magical and mystical performance, giving the air a touch of romance. It offers an experience like no other as you’re wrapped in a forest of lights under a starry sky. Consider Hotel Nampuro if your trip to Japan is taking you to Nagasaki Prefecture.